In this episode I review the really brilliant episode The Curse Of The Black Spot. 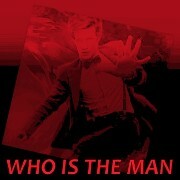 Send your feedback to whoitm@hotmail.com, whoitm@gmail.com and to the Facebook group. Next time I will review Neil Gaimen’s first Doctor Who (hopefully we get more) The Doctor’s Wife. whoitm@gmail.com and to the Facebook group. Next time I will review Neil Gaimen's first Doctor Who (hopfully we get more) The Doctor's Wife. My rambling thoughts on Doctor Who: The Impossible Astronaut. So, we’ve all seen it have we? If you haven’t don’t read this, it does contain spoilers. Ok. Well I’m going to have to watch a few more times to get my thoughts completely straight to review it on the podcast, so I’ll just give you some points that stood out. Ok first off, I liked it. I want to say I love it, but I’ll have to watch it again to know if I do or not. One thing I really noticed was it seemed it was really wirrten for the Amercian market. Now that’s not a bad thing, I love Amercian TV, but this was very different to the normal… British feeling/style Doctor Who normally has. Now, some of the reasons why I was slightly let down. 1. I loved season 5. 2. I think a lot of it was just intodunced as the plot needed. For one example, after The Doctor’s been shot half way through Regeneration thus killing him, and they need to get rid of the body, Rory just happened to notice the boat. That’s why I’m going to watch it agin, it may ahve been set up, I might’ve jsut missed. Also that lead to one of the best scene, The Doctor being burnt in the boat with some absolutly brillaint music from the amazing Murray Gold, but how the story got to that scene was…for want of a better word, random. That happened a lot in this episode. 3. A bit too much sexual innuendo. But on the positive side. As I’ve mentioned, Murray Gold’s brillaint music! Also, Matt Smith, Karen Gillain, Arthur Darvil, Alex Kingston & Mark Sheppard ALL did excellent jobs! I was really impressed with Matt Smith, you could tell that he was the older Doctor at the begining, whilst still being his normal (if that’s a word you can use to discribe The Doctor) Doctor. Then we have the ever wonderful Karen Gillan and Arthur Darvil who always do fantastic jobs, they didn’t let us down this time. And as always Alex Kingston protrays the extremely interesting River Song excellently. So there we go with my ramdon thoughts, I’ll probably go a bit more indeth on the podcast. ‘Who’ – Is The Man Cast episode 10. 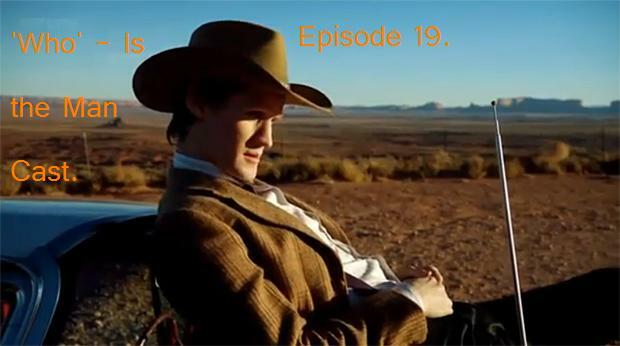 ‘Who’ – Is The Man Cast episode 10 is now out, after a very long wait. In this episode I talk about The Doctor Who series 4- The Specials Soundtrack, Doctor Who: The Pandorica Opens and The Big Bang, and play some pieces of wonderful music by Murray Gold from his Doctor Who Series 4- the Specials Soundtrack and the Doctor Who Series 5 Soundtrack. If you like to send some feedback to me, please do so to: whoitm@gmail.com, or to the Facebook group, or even here.